If you try to enumerate the romantic occasions that you celebrate throughout the year, they might be fewer in number than the fingers on one of your hands. Let’s count them together: Valentine’s Day always comes first, and it is marked as the most romantic holiday ever. So, that makes one. The second event will probably be your Wedding Anniversary, which some people, especially men, seem to occasionally forget as the years go by. A Birthday can turn into something romantic if that’s how it has been planned. We have three so far. Another one can be the celebration of New Year’s Eve, but only if you intend to make it part of this little pile. All in all, there are four romantic occasions that almost everyone celebrates every year. Romance FlowersWell, that doesn’t seem like enough. 365 days and only four of them are dedicated to romance and love, which always go side by side. But if we have to put them all together, we can say that each and every one of them can be combined with flowers. And we at Flower Shops as a dedicated flower delivery company are ready and willing to provide you with flowers for all the occasions mentioned above, and any others that you may be celebrating. 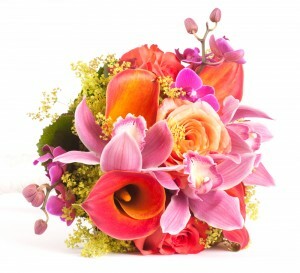 Romantic moments are among our favourite ones to make lovely flower arrangements for. And our florists are especially happy when they get to be challenged by some of your whims for an event and create bespoke arrangements according to your description. It’s good to know that there’s someone who can deal with even the most complex of your ideas regarding flowers. That’s why we encourage you to come up with something special. Since love and romance are so closely bound together, you can’t really have one without the other. What else if not love will make us want to perform a romantic gesture only to see somebody happy and smiling one more time. Believe us, it’s worth it! Being surrounded by all the money in the world Multi-Coloured Tulipscan’t substitute the way you feel when you’re in love and when you’re loved back. In moments like this, you show the best part of you, the brightest side of your personality. Some say it makes you weak, but actually, the strength that this emotion gives you is indescribable. You feel capable of performing miracles. Sending flowers is the least you can do in such a case, but it’s still a powerful symbol of romance. Organise a romantic getaway for you and your beloved one even if it’s not one of the four occasions we mentioned above. Do it spontaneously because surprises are sweeter than planned events. But before you leave for somewhere special, you can order flowers from us to be sent to the place you’re going, and when you get there, your other half will be welcomed by an beautiful flower arrangement. This will certainly boost the mood. We’ll make sure they arrive before you do. 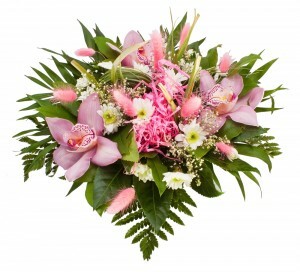 A romantic bouquet of ours can take the form of a heart, for instance, with differently hued types of flowers. We also have the so popular heart-shaped balloons. But if you are celebrating your twentieth anniversary you might want something more elegant and sophisticated for a flower bouquet. Champagne and chocolate is another combination that Flower Shops can offer, and that’s suitable for any romantic occasion. Needless to say, the flowers that you order from our website will be delivered to any address in impeccable condition because that’s what we specialize in, and there’s never a worry about a delayed or damaged bouquet. Give us a ring on ‎020 3900 2440 if you trust us with your romantic occasion.